At the law office of Robert D. Chase, we are committed to protecting the rights of clients who have been accused of child abuse, spousal abuse, homicide and other serious offenses. Based in Modesto, we handle cases in the Stanislaus County criminal and juvenile dependency courts. Modesto criminal defense lawyer Robert D. Chase has more than 30 years of experience in California criminal and juvenile law. He is known to colleagues and in the community as an attorney who is prepared to effectively represent clients facing very serious consequences. Juvenile dependency: Mr. Chase is one of only a few attorneys in Stanislaus County who regularly appears on behalf of parents in juvenile dependency court. If Child Protective Services (CPS) has taken your child from you or is threatening to do so as a result of allegations of child abuse or child neglect, he will diligently protect your parental rights. Criminal defense: Mr. Chase frequently represents clients who have been accused of serious crimes, including homicide and gang offenses. He is a former chief public defender of Stanislaus County and has argued more than 30 murder trials, including capital cases. Juvenile defense: As an experienced juvenile court attorney, Mr. Chase frequently represents minors who have been accused of offenses in juvenile delinquency proceedings. Mr. Chase will evaluate every aspect of your case — including potential Miranda violations, search and seizure violations, self-defense arguments and conflicting expert testimony — before advising you on whether to negotiate with the authorities or go to trial. 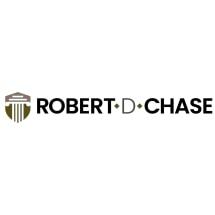 At the law office of Robert D. Chase, our goal is to help our clients avoid or reduce the serious consequences of criminal charges and child abuse allegations. We do not sugarcoat the facts or make promises we cannot keep, but we do everything we can to protect our clients' rights.